Save on the perfect coloring tools for all art projects! The perfect coloring tools for all arts and crafts projects. 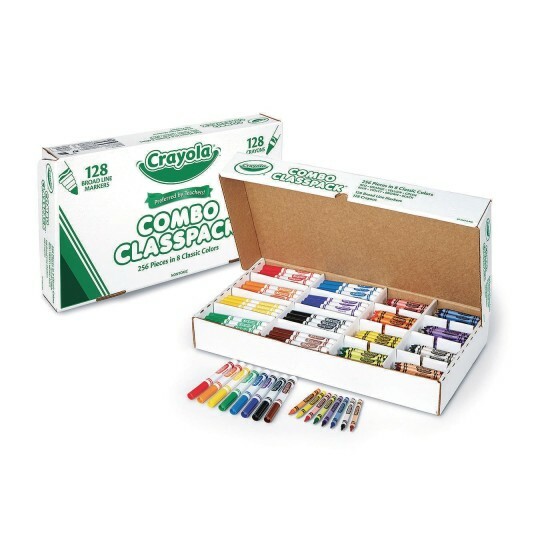 Convenient ClassPack® of 256 total pieces includes 128 regular crayons and 128 broad line markers. Includes 16 each of 8 classic crayon and marker colors: red, orange, yellow, green, blue, violet, brown, and black. Non-toxic.